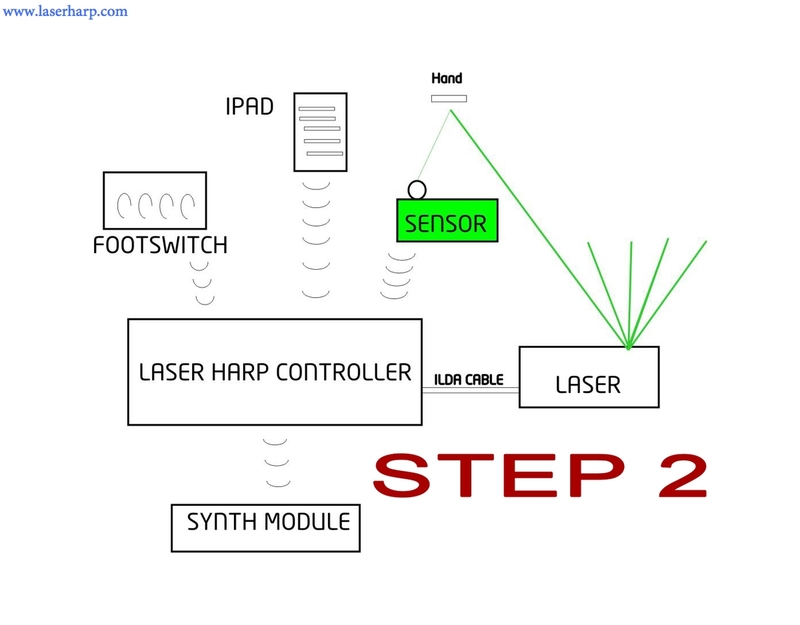 In this article we will cut the cable between the laser harp controller and the sensor detecting your hand on the laser. The sensor has the purpose to detect the reflection of a laser harp beam when you touch it. 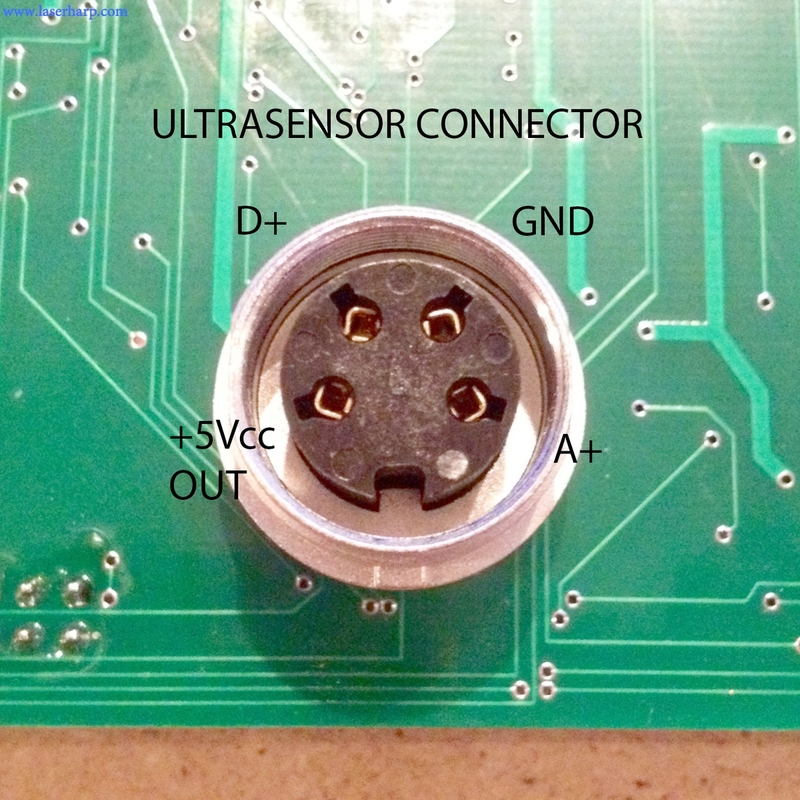 A bit of hacking has been required to understand how the Kromalaser's "Ultrasensor" works. Without going too deep in details, it is essentially a pulse amplifier. 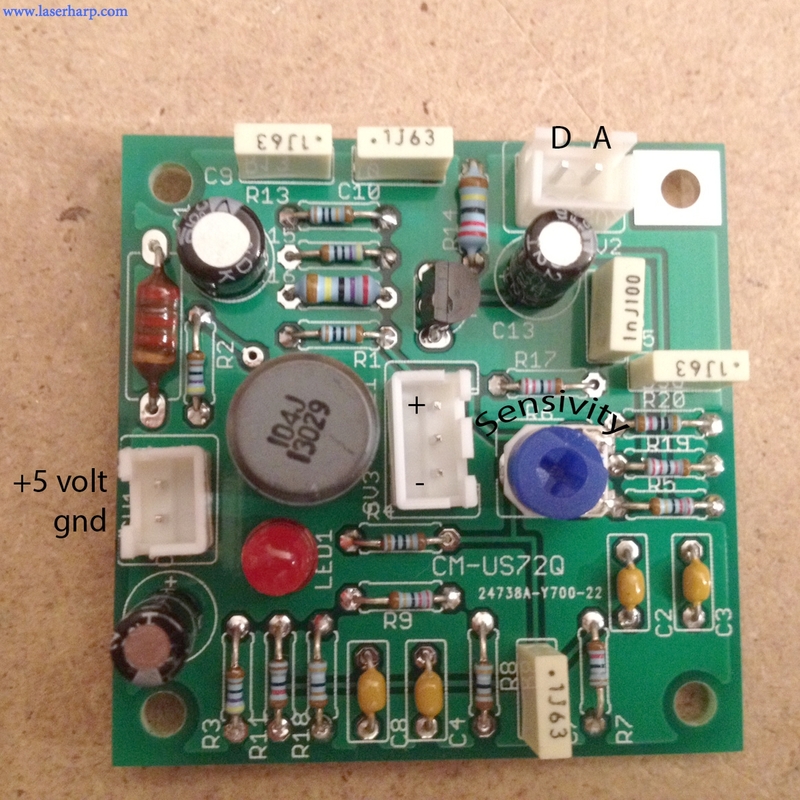 The input pulse comes from a BPW34 photodiode, and the amplifier gives on output two signals, one digital and one analog. Our purpose is to send the digital pulse from the sensor to the EVO controller board. The pulse frequency depends on the scanning frequency: measuring we discover that the distance between a beam and the next one is a bit more than 1mS (millisecond) with a standard scanning rate. This means that our wireless rx/tx system must be able to send the pulse from the Ultrasensor to the controller in less than 1mS. Initially we thought to use the same system we used for the footswitch, but there was no chance to go that fast. This wiring allows the Nano to communicate with the RTx module. This wiring is common to both Nanos and nRf24L01s. 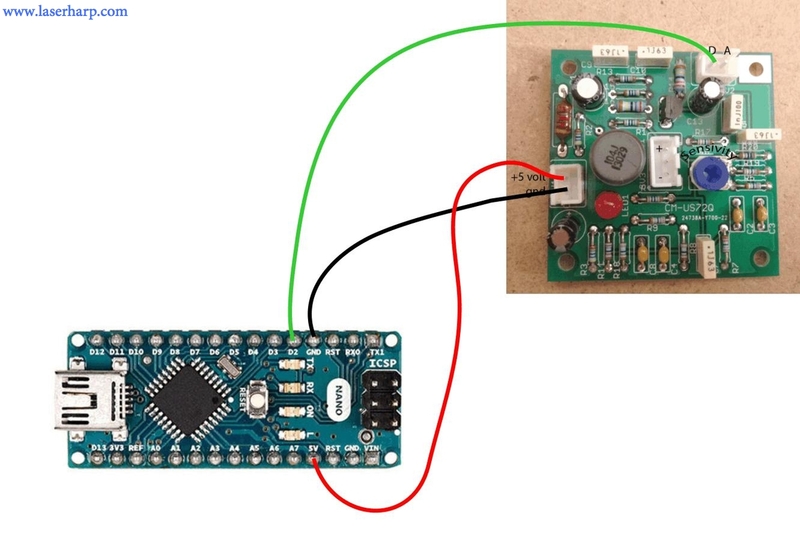 In next pictures we will show only the Nano connections to the other devices and not the nRF24L01 which we suppose to be already correctly wired to the Nano. 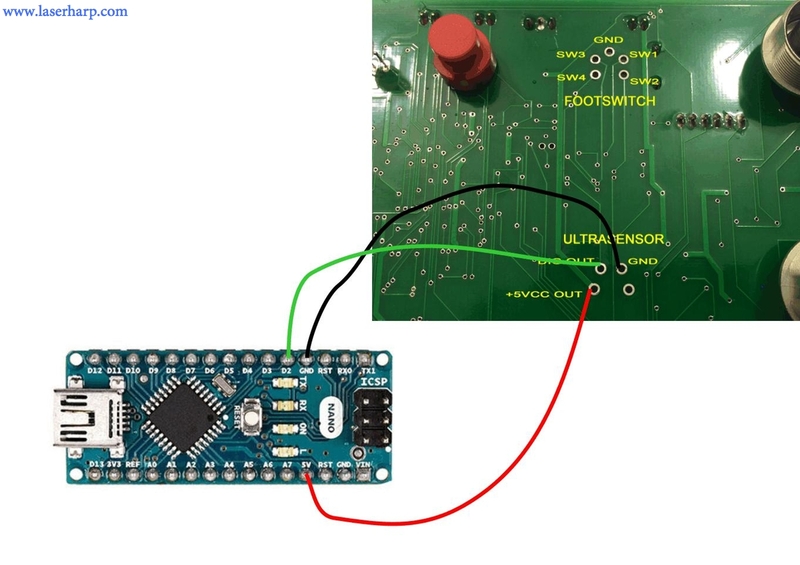 We need now to use one digital input to connect to the digital out of the Ultrasensor on the first board. The sensor+arduino+Rtx must be battery powered. 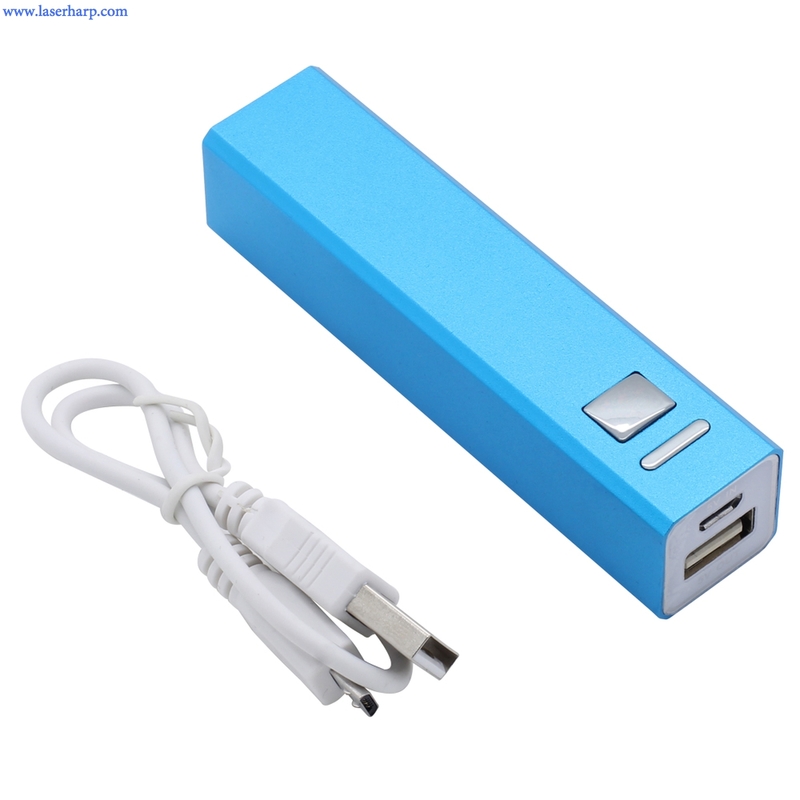 To do that we simply buy a cheap 1-battery backup for cell phones and we use the MINIUSB plug on the arduino nano to supply everything. Let's go now on the controller's side. We need a digital output from the Nano to send the pulse to the digital input on the EVO controller board. 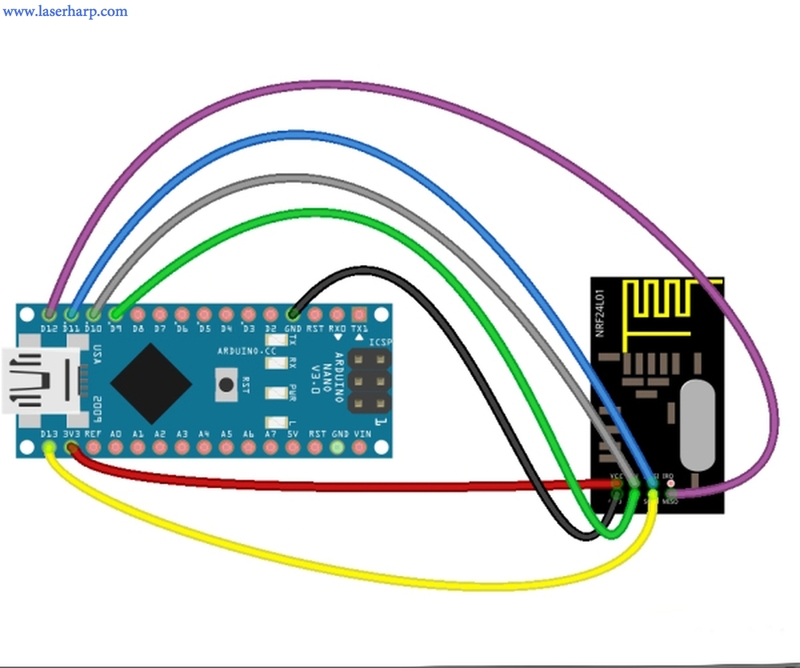 So we have to connect GND, +5V to the Nano GND and +5V to supply everything, and next we wire D+ on the Ultrasensor connector to the D2 on the Nano. 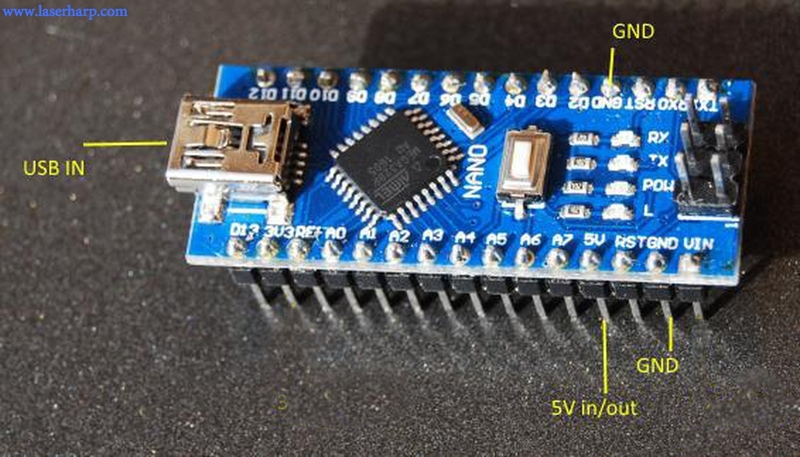 You have now to flash both Nanos, one with the firmware for the transmitter (the one connected to sensor) and the other with firmware for receiver (the one connected to Kromalaser Ultrasensor).